The year was 1986, and it was a time for reboots, revamps, and retcons. 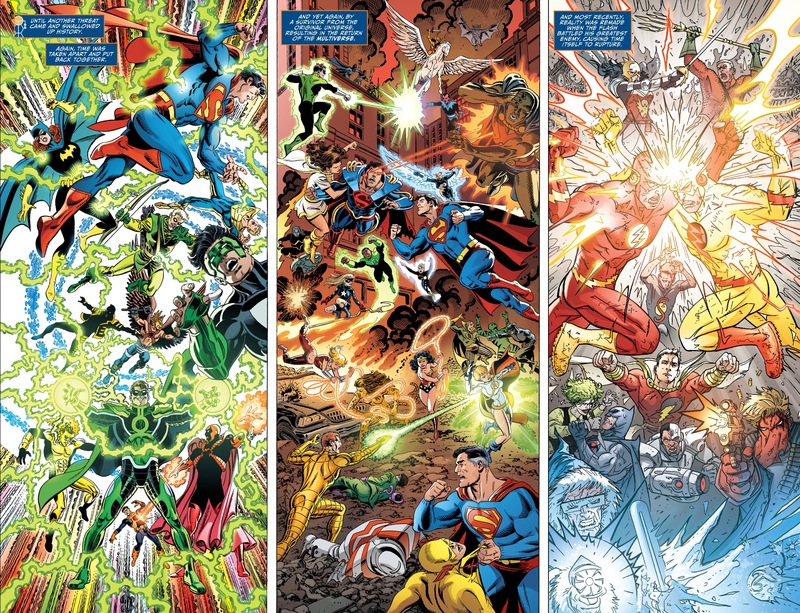 Crisis on Infinite Earths had recently wrapped up, effectively given the entire DC Universe a clean slate. The heroes and icons we knew and loved could now be tweaked, and perhaps simplified for a new generation of fans. This era opened the door for stories like Batman: Year One, George Perez’s classic take on Wonder Woman’s origin, and even Justice League International. 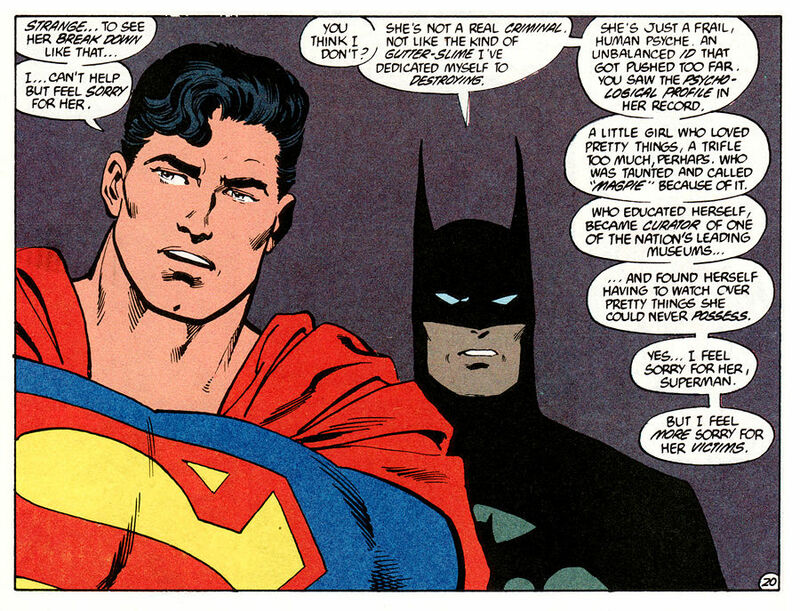 And then there’s The Man of Steel, John Byrne’s revamping of Superman’s origin story. This six-issue miniseries reestablished Kal-El as the sole survivor of the planet Krypton, and redefined his relationships with core characters like Lois Lane, Lex Luthor, Lana Lang, and various other characters with the initials L.L. 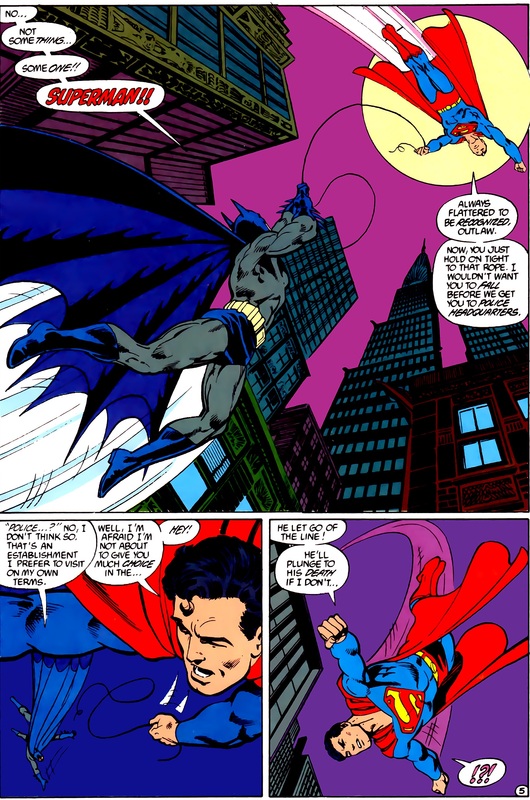 It also gave us the first meeting between the post-Crisis Superman and Batman, in what I believe is one of the best Superman/Batman stories ever told. We open the issue in Gotham City, as Batman hunts down leads on our villain, Magpie. That’s right folks, the first meeting of post-Crisis Superman and Batman wasn’t over, say, The Joker, Lex Luthor, or Brainiac. Instead, we had Magpie, a villain obsessed with shiny objects. In essence, she’s the evil equivalent of a two-year-old who wants shiny toys. Apparently, in preparation for Superman, Batman created a force field around himself, which can detect “super dense biological material,” i.e. Superman. If the force field is penetrated, a signal goes out that detonates a bomb and kills an innocent person. Naturally, the Man of Steel is shocked. With his undivided attention, Batman tells him Magpie’s story, and they end up going off to find her. But Superman insists they aren’t done. Did you ever play pretend with the other kids on the playground, and somebody would shout: “You can’t touch me! 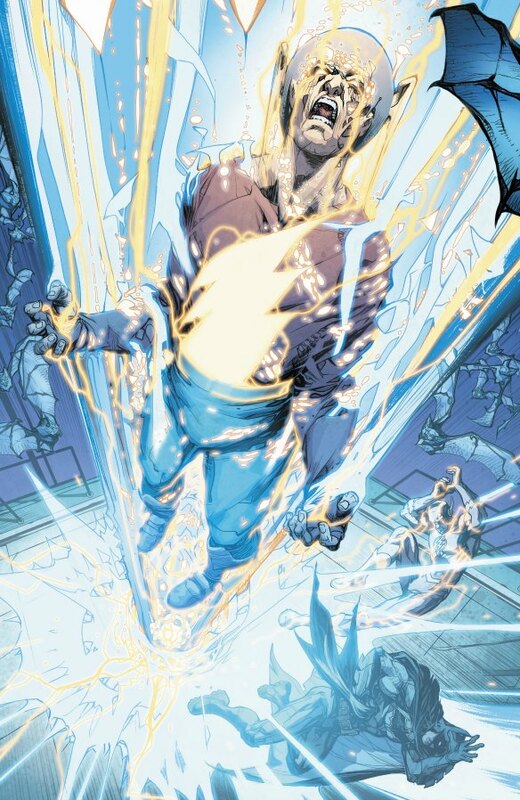 I’ve got a force field!” This feels like the superhero comic book equivalent of that. If Byrne hadn’t stuck the landing so well with this idea, it would be laughable. Particularly by modern standards. But as we’ll see, the pay off is worth it. Our heroes quickly dispose of Magpie’s goons, and when she releases an acid-like gas into the air, Superman inhales it all before blowing it out into space. When he returns, she has escaped. When they find her again, Superman rips her gimmicky headpiece off, only to see her break down in tears. It’s here that Superman begins to learn about a different kind of criminal. 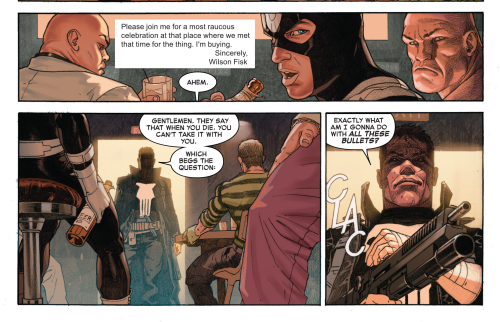 Magpie is certainly a villain. But she’s also a victim, driven to the point of insanity by mental illness combined with a penchant for crime. She isn’t like the criminals Superman is used to facing. As such, he learns a valuable lesson about the different facets of criminality. 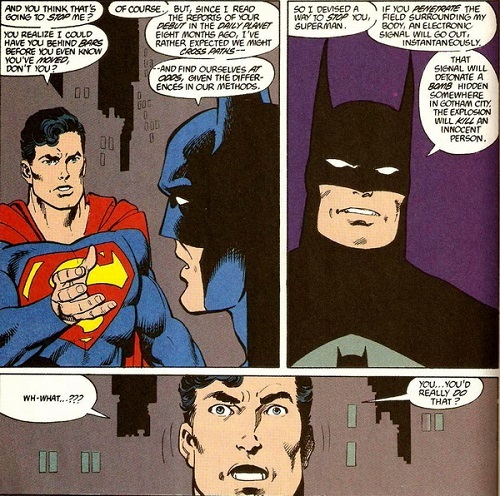 Superman comes to respect the need for someone like Batman in Gotham, but there’s still the matter of the bomb. 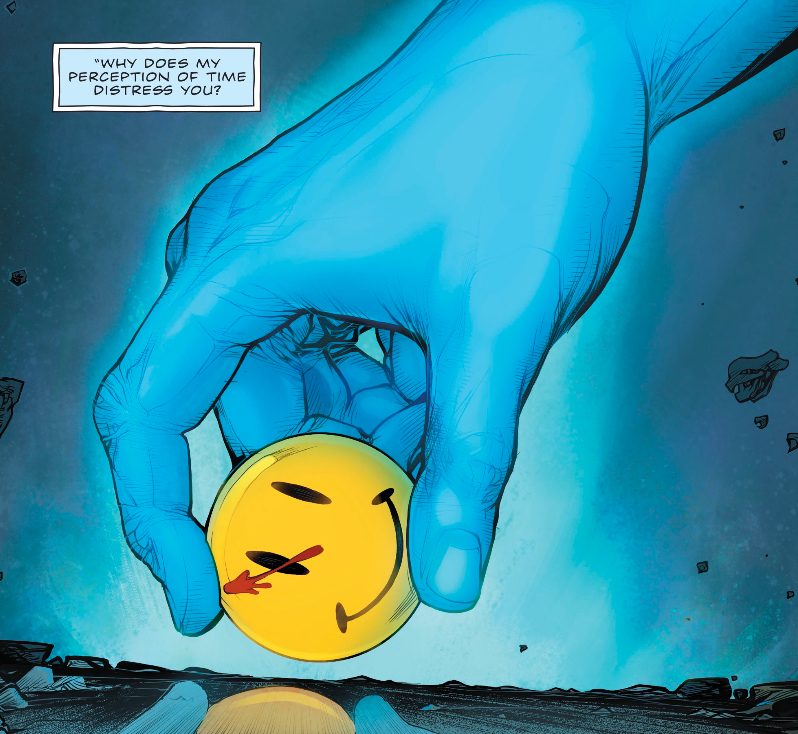 The Dark Knight promptly removes a small explosive from his belt, revealing the “innocent” he placed in jeopardy was him all along. Because Superman would be able to tell if he were lying, Batman says this was the only way he could stop the Man of Steel. In the end, our heroes come to share a mutual respect for each other, and the methods they use to do their respective jobs. See, isn’t that nice? No fighting. No giant Bat-Robots. No Batman spitting in Superman’s face (I’m still mad at you for that Snyder & Capullo). None of that crap. Just two heroes with differences, who come to appreciate those differences and in time actually become friends. 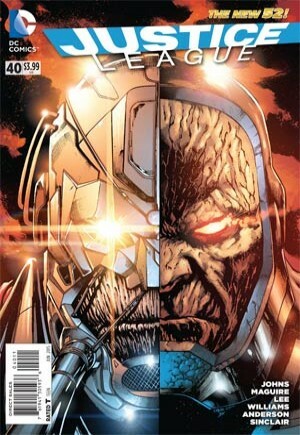 What’s even more interesting about this issue is its placement within the six-issue Man of Steel story. Remember, the idea here was to reintroduce Superman for the modern era. Issue #1 established up his backstory with the Kents and the genesis of Superman. 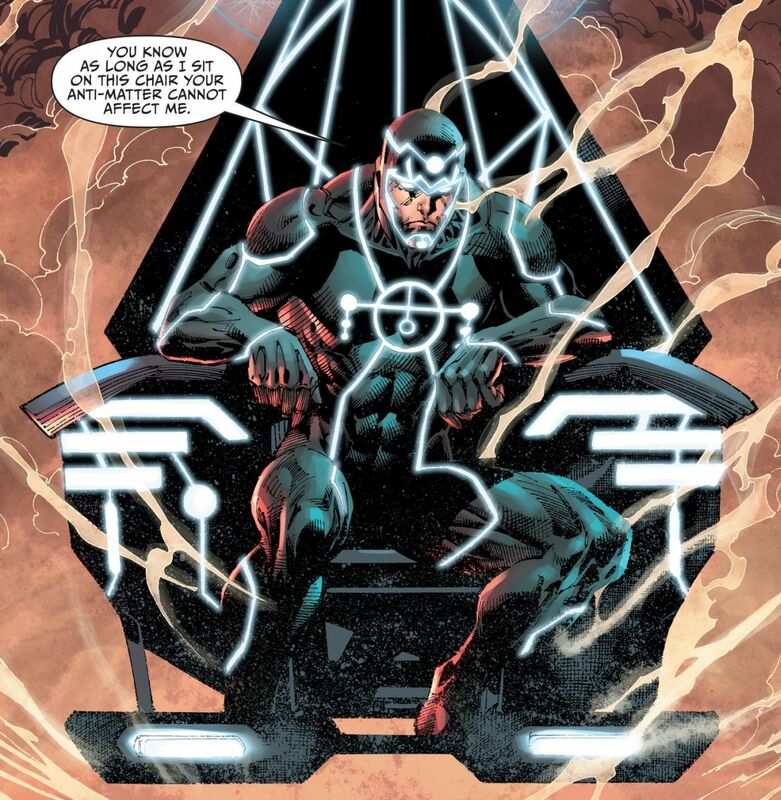 Issue #2 set up his status quo with Lois Lane and The Daily Planet. And here, we’re already bringing in Batman. We haven’t even met Lex Luthor yet! You can easily call this a case of Over-Baturation. But I’d like to give Byrne the benefit of the doubt here. 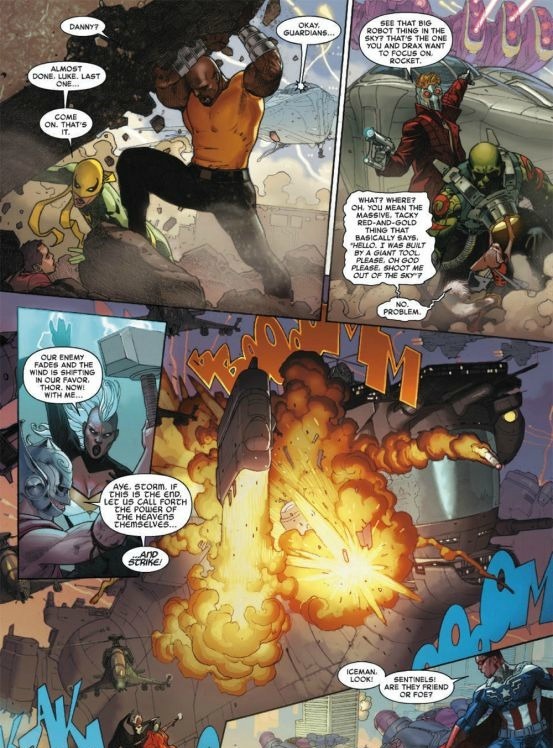 Much like DC did with the New 52, they had to do some world-building in the early months of the post-Crisis DCU. 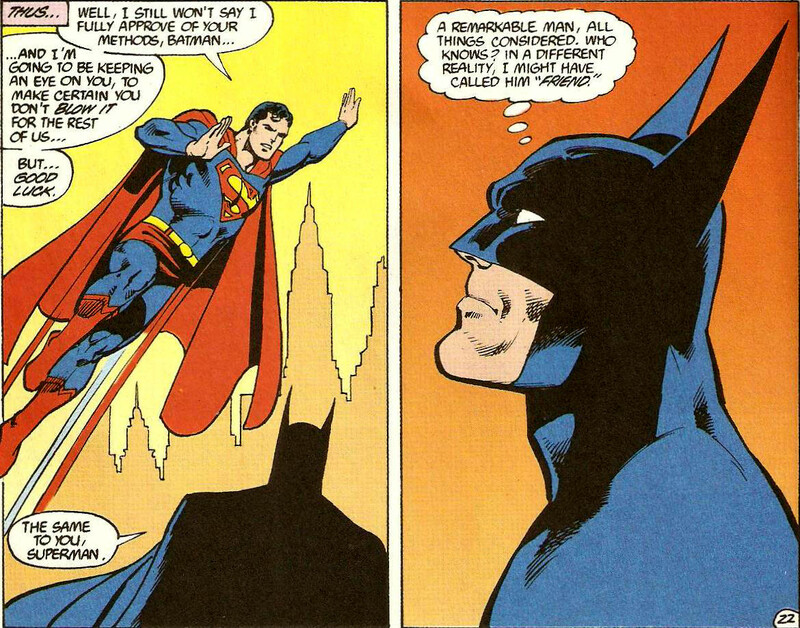 The dynamic between Batman and Superman is obviously very important, regardless of what continuity you’re in. I like to think this issue is a testament to that, rather than Byrne shoving Batman into a Superman story to bolster readership. 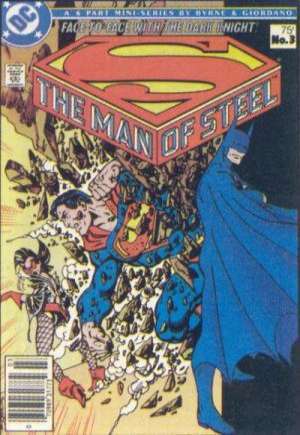 Incidentally, John Byrne wasn’t done with Superman and Batman after this issue. He wrote and drew the 12-issue Superman/Batman: Generations, and its two sequels. While I can’t speak for the sequels, the original is definitely worth a read. For more “Best of Batman & Superman,” check out our looks at Superman #165 and Batman: Gotham Knights #27. 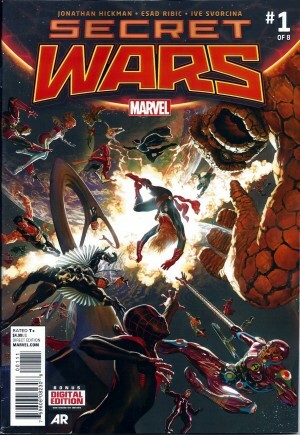 Image 1 from comicbookresources.com. Images 2 and 3 from fanboy.com. Image 4 from dvsgaming.com. This entry was posted in Comic Books/Graphic Novels and tagged Batman, Batman v Superman: Dawn of Justice, Batman: Gotham Knight (2008 DVD), Best of Batman & Superman, Crisis on Infinite Earths, Gotham City, John Byrne, Magpie (DC Comics), Rob Siebert, Superman, The Man of Steel (John Byrne miniseries) on 01/13/2016 by primaryignition.